The time has come where technology has become a pivotal part of our lives; from driverless cars to solar panel roofs and even the ability to join a live fitness class from the comfort of your own home! These advances are valuable in making our lives automatic, easier, and environmentally friendlier; but when it comes to fitness, how can we use these advances to ensure our hard work supports our deepest values in a personalized fashion? At Central Athlete, we use various technological tools to support each client and their needs. Understanding what these tools do and how they can be useful is essential in tracking progress and allowing our clients to become more aware of their behaviors to initiate positive change. TrueCoach (formerly known as FitBot) is our backbone! As a professional health and fitness facility that provides 100% personalized training protocols to every client (both in Austin and around the world) it is essential that we have access to an easy to use platform that enhances our clients experience. Truecoach gives coaches the ability to easily create personalized training protocols that support individual needs are is fully equipped with demo videos from our Central Athlete Movement Library. This is a one stop shop for all things essential to coaching from program design to nutrition tracking to skeleton building, video feedback, live messaging, compliance tracking and so much more! For the client, Truecoach is a great tool to easily access your daily training, communicate with your coach and measure objective performance and body composition results. Instead of flipping from page to page in your training journal, TrueCoach even provides a simple button that allows clients to track their exercise history to ensure they are progressively overloading week to week for optimal results! Understanding the autonomic nervous system (ANS) as it relates to performance, training, recovery, and health is essential in producing a quality training and lifestyle plan to increase results and decrease the risk of injuries and/or overtraining. 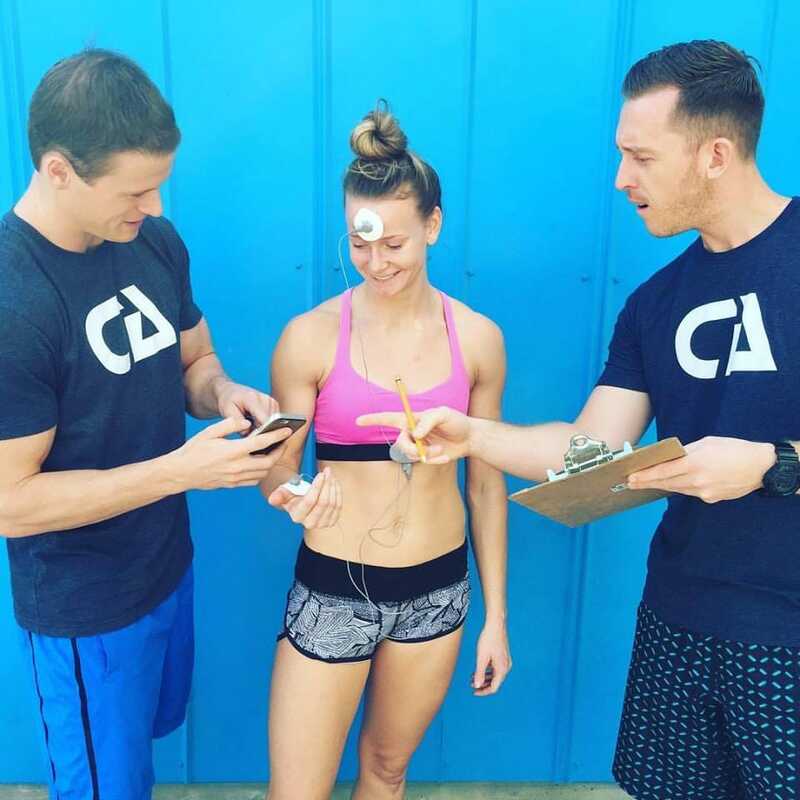 The Omegawave is a simple four minute test that Central Athlete provides during their initial assessment process. Although this test is only measuring a small point in time, it allows our coaches to have a better understanding of the client’s ability to take on additional strain through a measurement known as heart rate variability (HRV). Heart rate variability is the specific time intervals between heartbeats and is measured by variation in the beat-to-beat interval. Studies have shown that relative to the individual, a higher score equates to a more parasympathetic nervous system whereas a lower score in HRV indicates a more sympathetically driven state. The parasympathetic nervous system (PNS) activates what is known as the rest and digest response within the body and results in a decreased heart rate, increased intestinal and gland activity, and relaxed muscles of the gastrointestinal tract. The sympathetic nervous system (SNS) is responsible for activating the fight or flight response of the body and results in increased heart rate, elevated cortisol, and the release of other stress related hormones. Living out of balance between these two systems can cause a host of issues and the addition of high intensity training can exacerbate this. This can lead to training plateaus and injuries, among other things. Understanding where a client sits on this spectrum allows higher order program design, personalized nutritional protocols and individual support. The eyes are only so quick to notice and analyze various movements. Having apps like Ironpath and Coaches Eye can help improve technical feedback in strength speed and speed strength movements such as olympic lifting and plyometrics. The moves are so quick, dynamic and explosive that having the ability to slow down the movement and create solid lines on the video to analyze bar path and positions has been essential in improving technical recognition at a much faster rate. You can only say, “keep your chest up” or “pull your knees back” so many times, but having the ability for the client to SEE how various positions are affecting the efficiency of their movement has been instrumental in creating technical improvements. Knowing your total daily energy expenditure is important for understanding energy balance among many other factors that relate to health, performance, and fat loss goals. The Fitbit, apple watch or a simple pedometer can be a great way to get a more accurate calculation of your non exercise activity thermogenesis. When it comes to decreasing fat, the goal is NOT to eat less but to MOVE MORE and using tracking devices that track daily movement has been exponential in creating personalized nourishment protocols as it relates to the client’s specific goals. The InBody is a bioelectrical impedance analysis (BIA) tool that tracks body composition over time by sending small electrical currents through eight points of contact. Based upon the amount of time the electrical currents take to get from point A to point B, determines whether it is water, fat or muscle. 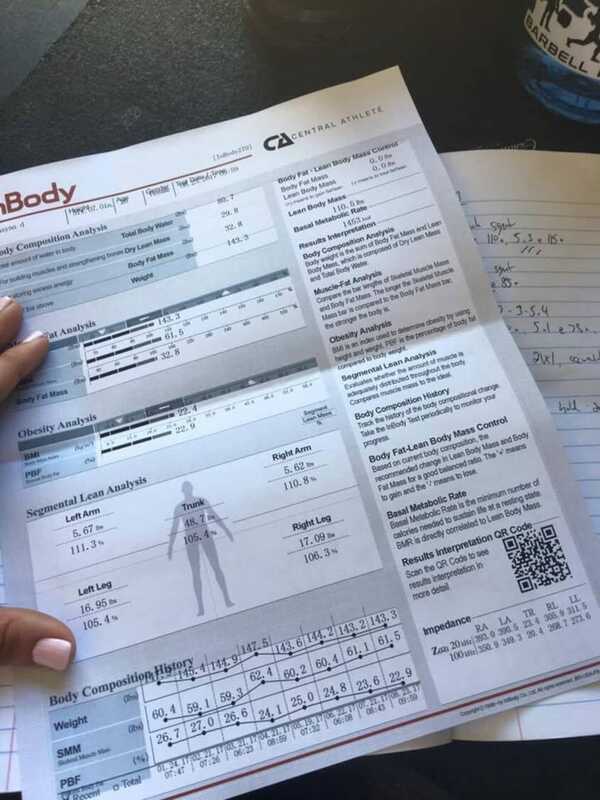 This is an extremely useful tool to ensure nutrition, lifestyle and dietary protocols are providing positive results as it relates to each client’s specific goals, such as increased skeletal muscle mass and decreased fat mass. While the scale only provides total body weight, the technology of the Inbody provides exactly what contributes to your total weight. Tracking these results biweekly or monthly is pivotal in enhancing the personalized protocols overtime and noticing both positive and negative trends. Whoop is similar to the Omegawave in that it uses HRV to determine an athlete's readiness for strain. It is a wearable bracelet that monitors daily strain, sleep quality and quantity as well as nightly HRV measurements. This is a great tool in creating awareness around certain behaviors that affect your body's ability to recover between training sessions. Having the opportunity to notice daily changes in recovery based upon sleep quantity, alcohol consumption, intense training, daily movement, nutrition etc. can enhance an individual's own motivation to improve lifestyle practices. This is an important tool to understand when training can be pushed to a higher level of intensity or dialed back to maximize potential and reduce overtraining and injuries. If you are interested in more information about how Central Athlete uses these technological advances to provide personalized recommendations to support each unique individual and their health and fitness, click the link below to schedule a strategy session. Our job is to ensure your hard work pays off by delivering the best personalized experience in Austin and around the world.